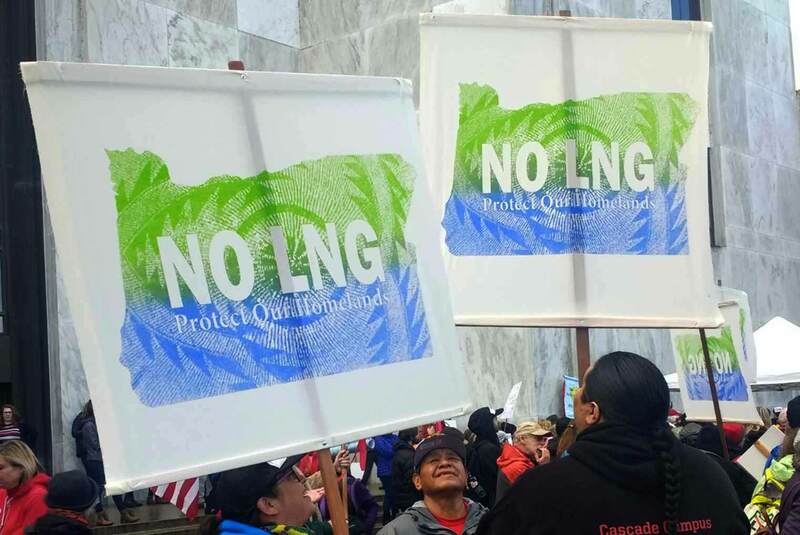 The struggle against the Jordan Cove LNG (Liquefied Natural Gas) terminal and pipeline project in Southern Oregon is heating up, and is being spearheaded by indigenous communities. Join Klamath artists Ka’ila Farrel-Smith and Asa Wright along with Justseeds artist Roger Peet for three lunchtimes of banner-painting and screen-printing of anti-pipline graphics destined for the use of organizers throughout the state and region. For more info click here!